Sharma while sharing her life lessons with the graduates, spoke about how our choices can make and break our life. As Dumbledore said to Harry once - “It’s our choices that show what we are, far more than our abilities”. 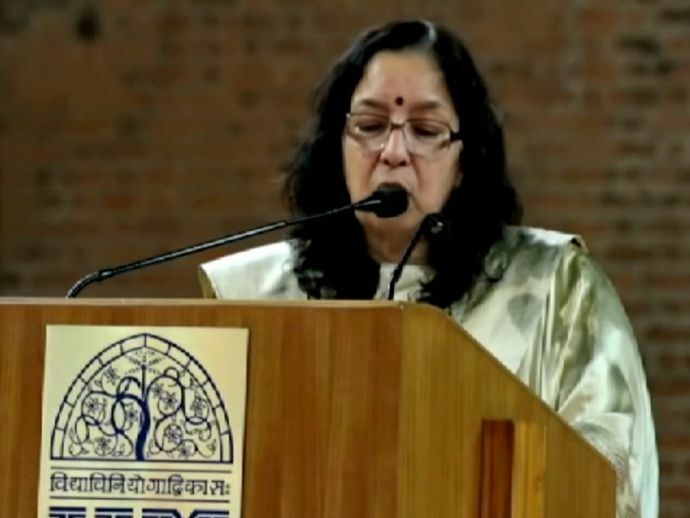 But, Shikha Sharma MD and CEO, Axis bank has a little more to add to it, as she addresses the IIM - Ahmedabad Graduates. At the 52nd convocation of IIM - A, on March 25, 2017, Sharma had a rather unusual advice of the students. While sharing her life lessons with the graduates, she spoke about how our choices can make and break our life. And one of the most crucial choices is the choice of a life partner. “When faced with moral dilemmas, do you make the practical choice or take a shortcut? Or do you do the right thing? Every time you take the harder, more principled path, you add one more brick to the foundation of your character. Every time you compromise with your beliefs, you give yourself the license to do it again”.